So, you’ve over-plucked your eyebrows. They look awful, and you want to know how long it will take before they grow back? Or do eyebrows grow back? Well, there is some good news for you. Generally speaking, hair grows back. And that applies to your eyebrow hair as well. Depending on the extent of damage you’ve done, eyebrows can grow back quickly, or after a few months. With that in mind, you can also speed up the process. Let’s talk about the damage you’ve done, and how to reverse the project. 2 What to do while eyebrows grow back? As mentioned previously, depending on the extent of damage that has been done to your hair follicles, eyebrows can grow back in weeks, or months. So, what was the method you used? Let’s breakdown the most popular hair removal methods. Shaving is one of the easiest methods for removing hair of your eyebrows. And shaved brows grow back relatively quickly, between 1 and 4 weeks. Shaving simply cuts the hair, leaving it able to grow back from the skin level up. The problem with shaving is the eyebrows look blunter once they grow back. We hope that burned-off eyebrows didn’t happen to you. If you damaged the skin, chances are your eyebrows might not grow back in that particular area of your skin. You have damaged the hair follicles, and it prevents hair from growing back. The same applies if you had an injury to your eyebrows. Or if you run into something and get a deep gash in your brows. Over-plucking and waxing is usually the biggest cause of concern. 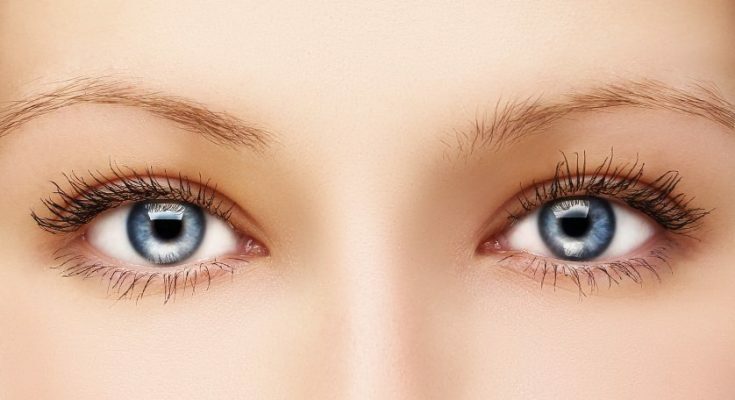 Plucking is one of the most efficient methods for removing hair of your eyebrows. But if you keep plucking in the same area over and over again, the hair will stop regrowing. Over-plucking is a problem you have to be cautious about. If you over-pluck an area, you might have to wait a year or two for your eyebrows to grow back. What to do while eyebrows grow back? The first advice people and experts will give you is “be patient”. It might take a long time for your eyebrows to grow back at their regular size and thickness, but you have to be patient. The waiting will be well worth it. Each person has a different growth rate, and it depends on many factors, including diet and lifestyle habits. It can take anywhere between three and six months, and sometimes even a year for a slow-growing brow. With that in mind, what are some other things you can do to allow a healthy growth process and eventually speed it up? If you plan to grow your eyebrows, be it regrow or just improve the thickness, let them grow. Do not pull any hairs out. Use wax or mascara to hold your brows in place if they look messy during the grow-out process. There are a couple of hair growth serums on the markets. Some of them are effective, others are not. And you can always try a natural remedy. We will talk about that in a while. Using hair growth serums for your eyebrows will help you grow long and thick eyebrows. If you want to encourage natural hair growth of your eyebrows, your first action should be to up your omega-3 and omega-6 fatty acids. This help nourishes your body from inside. In order for the hair to grow, it needs good acids, which are omega-3 fatty acids. Also, if you want to encourage natural hair growth, try brushing your brows on a regular basis. Makeup can clog your hair follicles and make it harder for eyebrows to grow. If you want to regrow your eyebrows, avoid creams, lotions, oils, serums, and everything makeup on the area. Not only it blocks the growth of your eyebrows, but it also makes hair shed. You can try to create a strong and clear barrier on your eyebrows, and then apply skincare products around it. One thing about growing hair, circulation helps. Blood flow brings more oxygen, nutrients, and vitamins to the hair follicles. Simply massage the area of your eyebrows. You do not need any product. Use only your fingertips only. After growing your eyebrows for a while, it is now time to visit a professional that will help you establish a proper shape for your face. Practice regular maintenance every month or two. If you try to do it at home, do not tweeze too close to the brow line. Now that we explained do eyebrows grow back, let’s talk about a treatment that can help. Castor oil is making a big comeback in the world of beauty natural remedies. It helps with hair growth, but you can also use it for eyebrows growth. And as thick eyebrows are gaining popularity, more and more women are reaching out for castor oil for help. After all, it is better to be overgrown than over-tweezed nowadays. With that in mind, how can you use castor oil for eyebrows growth? There are a couple of ways you can use castor oil. We start off with the simplest one. You need just half a teaspoon of castor oil, some mild cleanser, and a towel. Here is the step by step guide. Leave your skin to absorb the oil. Do not touch your eyebrows for a couple of minutes. Go to bed, and leave the oil overnight. In the morning, wash off with a mild cleanser and lukewarm water. Repeat the process every day for maximum results. Why does castor oil help? Well, for starters, a massage with castor oil will stimulate blood circulation. We mentioned previously that a massage helps with blood flow. But castor oil also provides nourishment to the area, making it more effective. More importantly, castor oil brings the dormant follicles back to life and prevents and future hair shedding. While castor oil is effective on its own, you can try combining with other natural remedies. A couple you can try include coconut oil, aloe vera, glycerin, Vaseline, and vitamin E.
As you can see, all of these contain cleansing properties that help unclog pores and hair follicles and encourage healthy eyebrows growth.